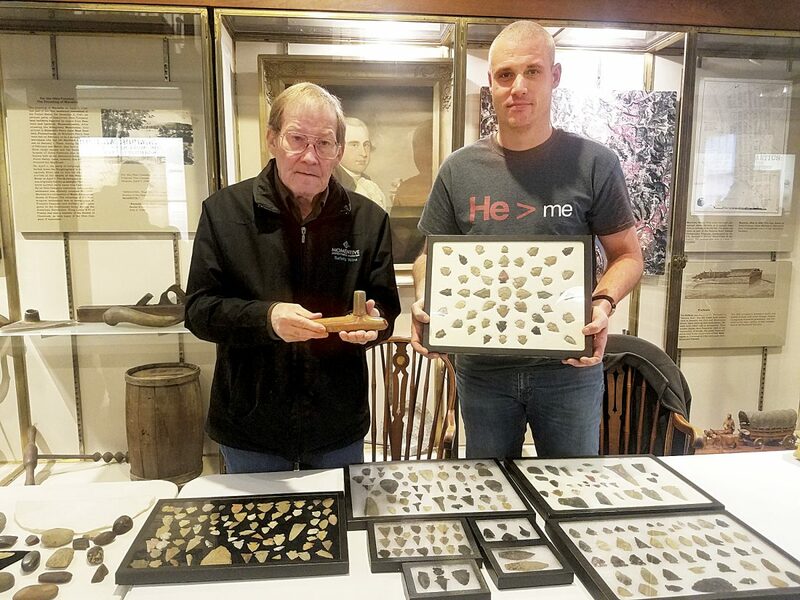 Photo by Madeline Scarborough Quinton Carpenter and his son Joe Rankin share Carpenter’s collection of arrow heads, mound pipes and other prehistoric tools at Campus Martius Museum in Marietta for Archaeology Day. Photo by Madeline Scarborough Tom Hornbrook showing interested museum visitors different pieces that he and Doug Angeloni have recovered over the years. They explained the significance behind each piece. Photo by Madeline Scarborough Arrow heads found by Quinton Carpenter, from St. Marys, that he brought to the Campus Martius Museum in Marietta for Archaeology Day. All of them had been found in St. Marys. MARIETTA — Kids got their hands into things on Saturday at Campus Martius Museum where Digging the Past: Archaeology Day was held. Various lectures were given throughout the day by trained archaeologists and collectors. 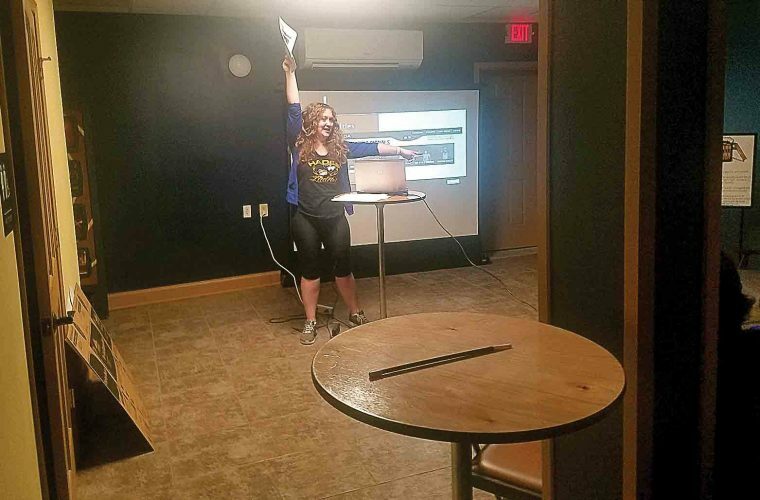 While turnout was good, many people were unable to make it due to weather in their areas of the state, Reynolds said. 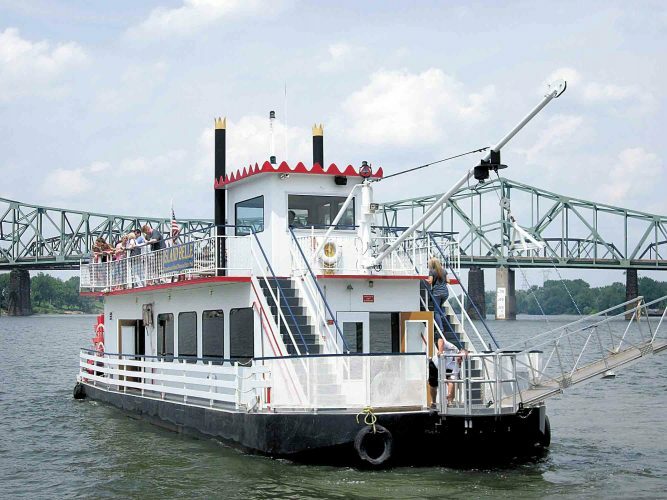 “It is great for people to gather together and share what they have found and collected over the years,” said Wes Clarke, an archaeologist with the Castle. Quinton Carpenter from St. Marys brought his collection of arrow heads, mound pipes and other prehistoric tools to share with the public. “I found all of them in St. Marys on the island, which is now a bird sanctuary,” Carpenter said. “As kid I would go explore the island and find the different artifacts,” he said. Artifacts representing the Adena and Hopewell peoples were among exhibits. 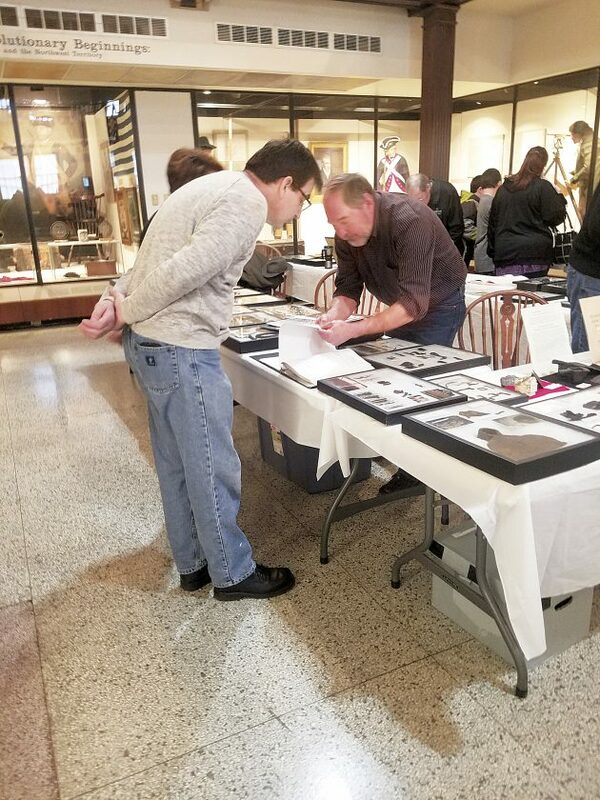 Relics from the colonial period that were collected at many military camp sites and native villages in Ohio also were displayed. Doug Angeloni and Tom Hornbrook together have been excavating sites for 35 years. Angeloni and Hornbrook brought in an array of items more historic rather than prehistoric. Among those was a war club. Along side the club were illustrations of how the weapon was used in combat. Angeloni and Hornbrook also displayed ammunition, old tools recovered from Moravian Indian sites and photos of them excavating the different sites. 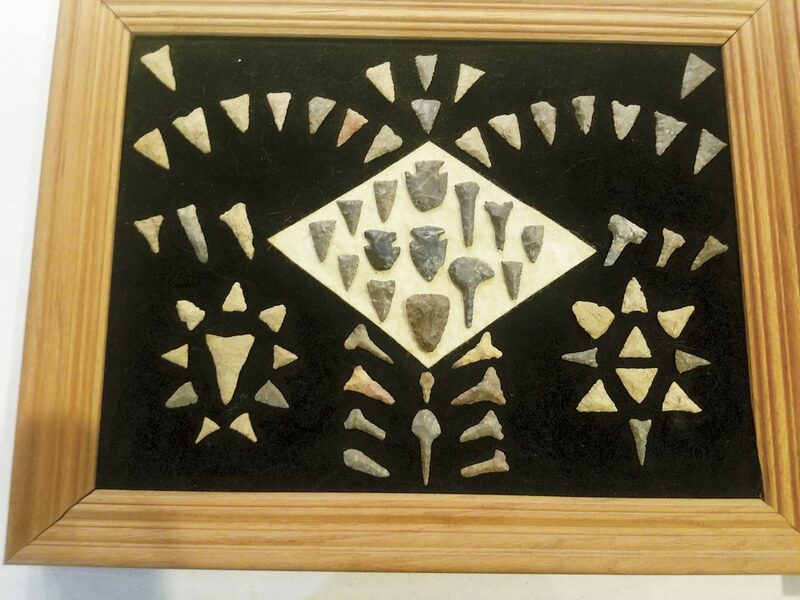 Other display sections held arrow heads, tools, jewelry, needles and animal bones from historic and prehistoric eras.